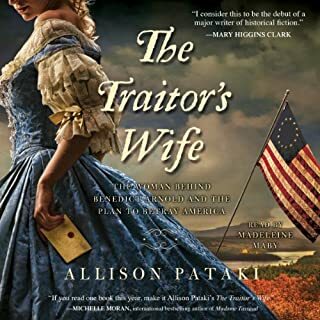 New York Times best-selling author Allison Pataki follows up on her critically acclaimed debut novel, The Traitor's Wife, with the little-known and tumultuous love story of "Sisi", the Austro-Hungarian Empress and captivating wife of Emperor Franz Joseph. Fifteen-year-old Elisabeth, "Sisi", Duchess of Bavaria, travels to the Habsburg Court with her older sister, who is betrothed to the young emperor. But shortly after her arrival at court, Sisi finds herself in an unexpected dilemma: she has inadvertently fallen for and won the heart of her sister's groom. Franz Joseph reneges on his earlier proposal and declares his intention to marry Sisi instead. 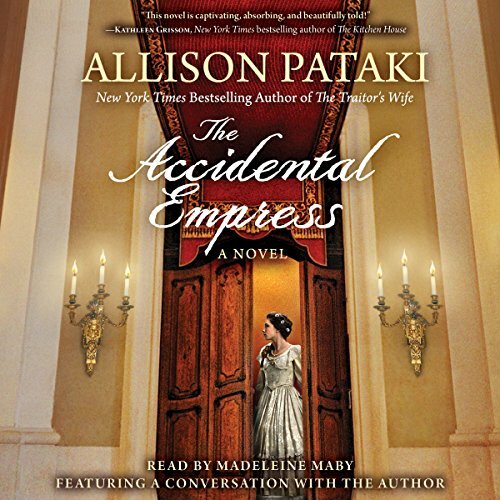 With Pataki's rich period detail and cast of complex, bewitching characters, The Accidental Empress offers a captivating glimpse into one of history's most intriguing royal families, shedding new light on the glittering Hapsburg Empire and its most mesmerizing, most beloved "Fairy Queen." it was quite frustrating listening to the first half of this book because the reader completely mangled the foreign words. I don't expect perfect pronounciation but if you don't even know how to pronounce the name of the river Danube, you have no business narrating this book. doesn't anyone check the recordings?? for me, this was quite a distraction. This book is really a 2 star book for me (where 5 stars is only awarded to the best books I have ever read in my life, so 4 stars is really good for me) but I bumped it up to 3 stars for its historical element. It certainly sparked my interest in the Hapsburg Empire. The book reads like a literary harlequin to me, and I was constantly frustrated with the main character's meager ability to take other perspectives to navigate her way through the Court. Pretty much for the whole book, I disliked Sisi, but when I read the comments at the back of the book (interview with the author, book club questions) I was reminded that being a young girl of 15 with almost no political or cultural education (she was born to minor royalty but allowed to roam free in the countryside reading Goethe and composing verse) would have been very difficult, and perhaps her lack of theory of mind was appropriate for her age. I read this book for a local book club I recently joined; it will be interesting to see what the discussion will be like tomorrow afternoon. Regardless, pick this one up with caution; it will not blow your socks off. This was an interesting book. I had trouble believing throughout the novel that this actually happened. In the interview with Ms. Pataki, she stated that the novel was historically correct with a few things added or deleted as necessary for the flow of the narrative. I am impressed with the author and will read more of her work. If you are interested in the Hapsburgs and their reign in Bavaria, you will definitely enjoy this book. I would also recommend it for anyone interested in Sisi. She may have started out as an accidental queen, but she certainly didn't remain that way. This type of historical fiction is not for me. The story was unnecessarily romanticized (this seems to happen frequently to anything about Elizabeth of Austria)...her life was not at all romantic; her marriage was not necessarily loveless but it was not a happy one, her mother in law ran the roost and she developed what would be considered anorexia today in order to cope, her male child died a horrible death and she was murdered!). There was too much dialogue, too much unnecessary detail and too many obviously fictional scenes. Somehow I did not get a good sense of the period and was never able to fully immerse myself in the story. I have no objections to the narrator or her narration. Could you see The Accidental Empress being made into a movie or a TV series? Who should the stars be? I think a decent script could be derived from this overly long novel...scripting it may manage to remove some of what I consider obvious fluff; this could turn it into a fairly entertaining chick flick for some cable channel. I would watch it! 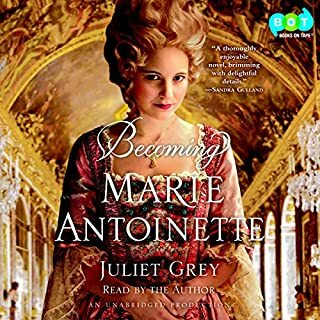 I read a review written by an Audible listener I follow and I should have paid attention to it and not gone for this book. 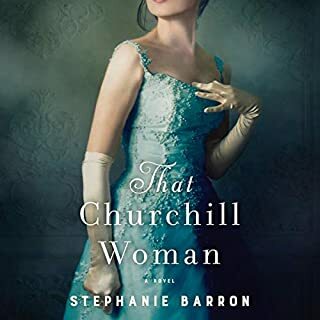 I was just craving my historical fiction fix, which this did not necessarily satisfy... it almost had the feel of teen fiction to me. Readers who are into historical romances may like it better than I did...I like my historical fiction lighter in the "romance" aspect. Written for a junior high girl. Romance novel style. What could Allison Pataki have done to make this a more enjoyable book for you? 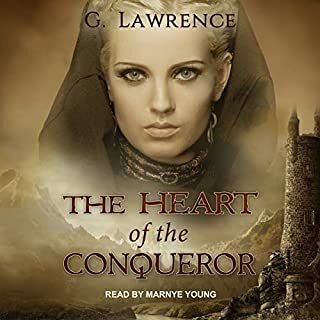 This may have been the author's intention and if you're a person that enjoys a historical romance this would be a good book. It's not for me though. Should have been called "Sophie"
I grew up delighted by the sweet and fairy tale style "Sissi" films with Romy Schneider. As an adult, grew interested by the connection with the tragedies of Mayerling, death of Francis Ferdinand and assassination of Empress Elizabeth. In spite of all this, I struggled trying to finish this "romance novel". Grew tired of Sophie, the witch, Franz, mamma's boy and poor suffering Sissi. Too bad, it's really an interesting part of history. Why do modern authors feel the need to sexualize historical figures outside of known facts? Truly it is an insult to the very real people they write about. 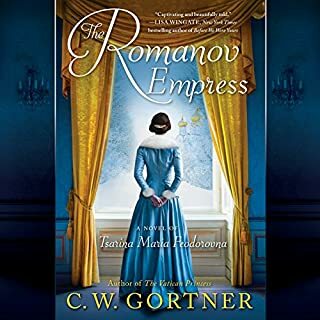 The beginning and ending of this telling of the story of Empress Sisi do a disservice to an otherwise very good book. This story is spellbinding. I especially enjoyed the author's turn of phrase. I highly recommend it to historical fiction lovers. As a fan of history and historical fiction, this novel of Sisi was quite satisfying. I am fascinated by the life of Sisi and as much as I can tell this narrative held pretty true to historical fact. The narrator, however, I feel would be better suited to a more contemporary novel. I felt this book needed a more quiet and dignified narration, and at times I became quite annoyed with the performance for that reason. A fairytale and although it’s a good story, most of it is pure fiction, with little attention to historical documentation. The reader was not very good. She made some of the male characters seem like they had some sort of handicap. It was so annoying. Elisabeth of Austria-Hungary is a most fascinating historical woman, because she was a modern woman trapped in a golden cage. I have loved learning her story since childhood, which is why I listened to this novel. Unfortunately, it feels fake. There are many historical details woven in and echoes from the Romy Schneider films have been included, but it lacks the sweetness of the films as well as the hard complexities of her actual life. 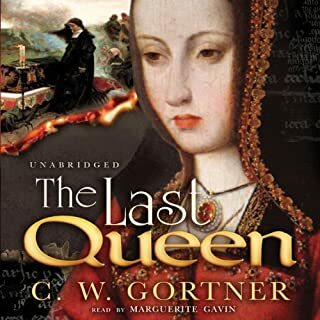 It is fine that historical novels make up large chunks to fill in the blanks, but here rumours of her love life have been developed to a point where it does not feel real. It is great that Elisabeth’s story has been made accessible to an English-reading audience but anyone who knows just a little about the historical person will feel this is a sugar confection. It is also jarring that the narrator is American when the subject is so obviously European and as someone who speaks German, it is a loss that many words and names are so badly pronounced that they are unintelligible. The accents are all over the place, too. Viennese German has a very particular sound, as does Bavarian, which means that the whole dialect dimension is missing as an element of characterization. Nevertheless, it is wonderful that Elisabeth’s story has been mediated to an audience who might otherwise never have known about it, but a more modern and successful re-working of Elisabeth’s story can be found in the musical called “Elisabeth” where her lover is Death. I could not stop listening to this book! Wonderfully written, exciting and highly emotional. I adored this book and you might just adore it too. After visiting the Schönbrunn palace in Vienna I fell in love with Empress Sisi and longed to know more. This book was absolutely perfect! I know when I next visit Vienna I will want to go back to the palace and it will be even more special.